In 1907, David Scott Mitchell, one of Australia’s greatest cultural benefactors and collectors of Australiana, gave his incomparable set of books, manuscripts, maps and pictures about Australia and the Pacific to the people of NSW. The Mitchell Library collections focus on Australia; documenting the history and society of Australian people including European exploration and discovery. The collection includes a wide range of formats; books, maps, works of art, photographs, coins, stamps, magazines, ephemera, sound recordings and electronic resources. It is the pre-eminent collection of Australiana in the world. Sydney book lover David Scott Mitchell (1836-1907) began collecting books seriously in the 1860s. He started with English literature, especially Elizabethan drama, fine examples of illuminated manuscripts and incunabula (books printed before 1501). 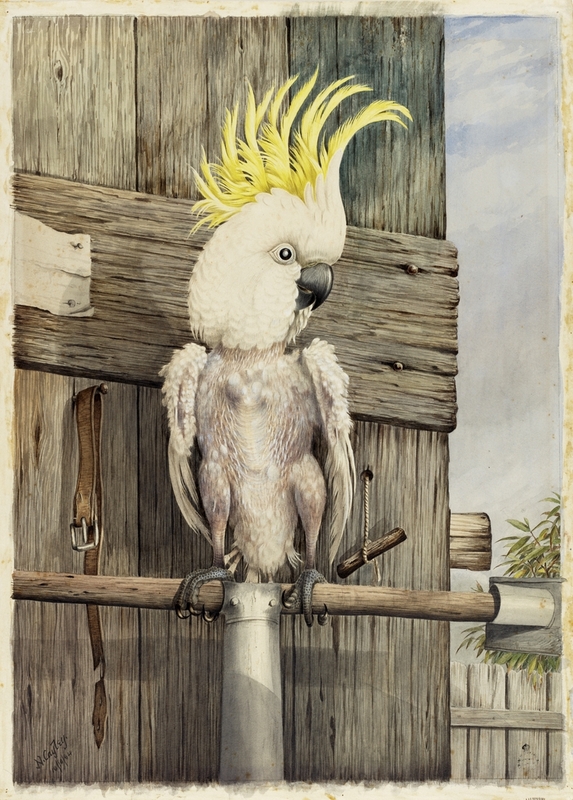 In 1877 he moved to Darlinghurst where he led an increasingly reclusive life in his terrace house surrounded by his beloved books and pet cockatoo. By the 1880s, Mitchell had turned his attention almost exclusively to collecting Australiana, with the ambitious goal to collect a copy of every single document, no matter its format, relating to Australia, the south-western Pacific, the East Indies and Antarctica. Anything Australian was of value to Mitchell; his vast collections mixed the astonishing with the everyday, the big ideas with the commonplace and the greatest names in history and literature with the incidental. On Mitchell’s death in July 1907, he gifted his collections to the Public (now State) Library of New South Wales with an endowment of £70,000 to fund collection additions. As a condition of the gift, the NSW government was required to construct a building to house the collections to be known as the Mitchell Library, now part of the State Library’s Macquarie Street precinct. No sooner had the Mitchell Library opened than it’s collections were being added to, and this ongoing collecting drive has been a hallmark of its development. Many thousands of items have been purchased or donated over the years and legal deposit provisions ensure a copy of every item newly published in NSW is stored in the Mitchell. The Library’s collections continue to document the history, life, landscape, culture and achievement of the people of NSW through a wide range of formats including ephemera, sound recordings and electronic resources. A century on, the Mitchell Library’s collections remain an important source for both historical and contemporary research and an integral part of the Australia community.